This weekend join the Steamy Tweed Ride through historic Oxnard! Calling all ye lively lads & lasses, lovely ladies & jolly gents! Join us for a jaunt on our two wheeled steeds– no jeans, lycra, or modern garb, please! Follow the Steamy Tweed Ride to the FREE Steampunk Fest at Oxnard’s Heritage Square this Saturday October 17. Bike Month Fun tonight May 30 in Ventura, CA! 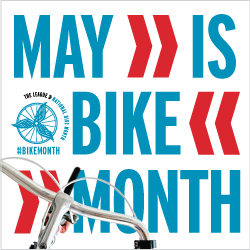 Tonight in Ventura there are TWO competing bike month events to celebrate the end of CycloMAYnia and this year’s Bike Month: one event is at the Ventura County Museum and the other is at the Hong Kong Inn. First, starting at 6pm is DINNER and a MOVIE! 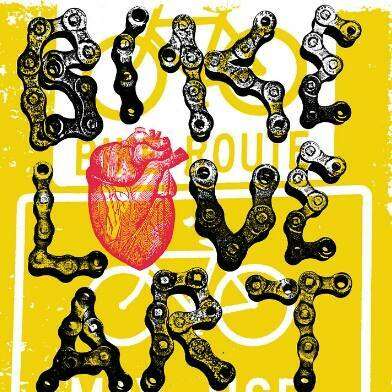 It’s a Bicycle Short Film Fest at Bike Love Art Show Friday 7:00 p.m. at the Museum of Ventura County with films from Mexico, Florida, Cuba and Southern California. The cost is $7 for the general public and $5 for students and members. 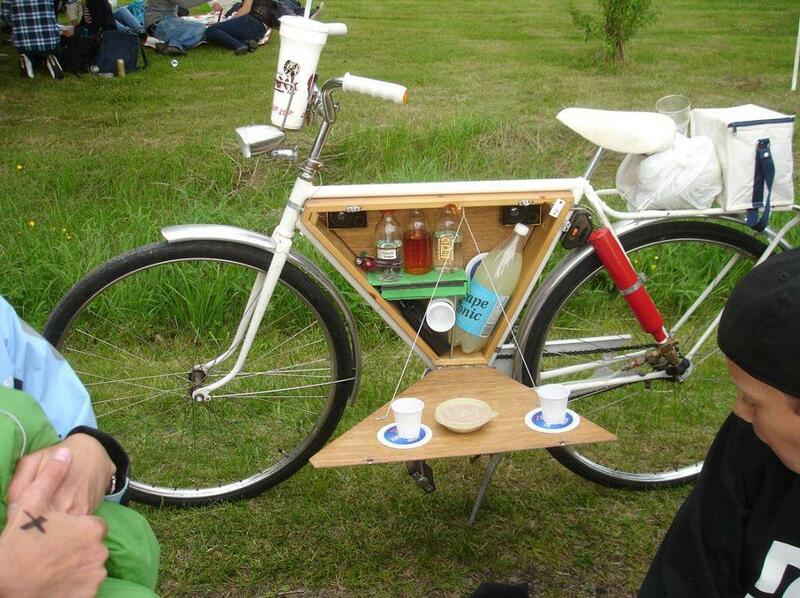 Just in time for Bike to Work Week this week is this fabulous Wine to Work Bike! And it’s especially just in time for me because I just fell off my bike when the seat came off of my wonderful Bikergo and recently the bike basket came off! Okay, I know these are easy repairs and yes it’s just an excuse for another bike! But isn’t this one perfect for a wine blogging Wine Predator like me? Or maybe you? Maybe you’re handy with tools and can make one for yourself now that you’ve got the idea, but if you want one custom made, this one came from Fat Kitty Cycles, an employee owned and operated shop in Boulder, CO which offers a mix of new, used, reused, and consignment bicycle sales. According to the owners, Fat Kitty Cycles is “Boulder’s newest and most funnest bike shop, featuring new and used bikes, parts, accessories, service, and classes!” They can also fix up that old bike in the garage with some love to make it last another ten years and make it Bike to Work Week or wine country ready! Did you know that more than half of the U.S. population lives within five miles of their workplace, making bicycling a feasible, fun way to get to work? Walking and biking are healthy, sustainable and economic transportation options; see this article about active transportation cutting back on obesity and diabetes. This week is the perfect time to break out your bike, ride to work, and celebrate after with a little vino! 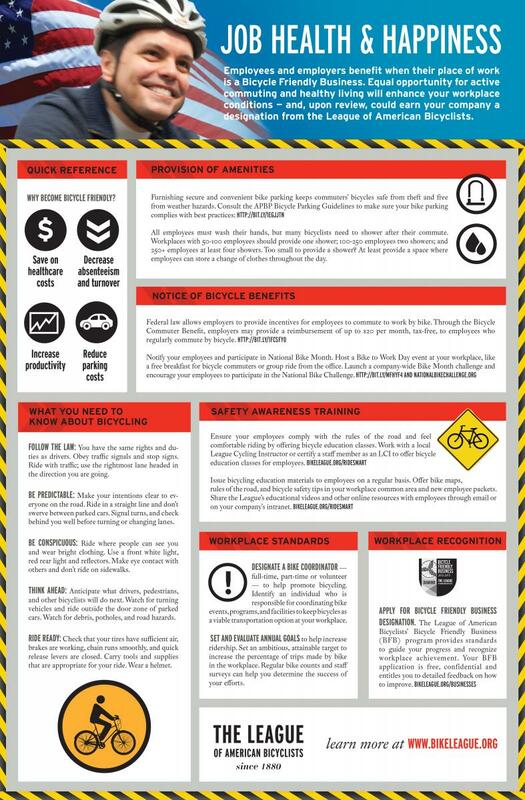 Look for Bike to Work Week events around your town –or make one happen! Bike to Work Day is Friday May 16 and many communities sponsor breakfasts and bike clinics for cyclists. Well, I need to fix my bike seat so I can ride it to work–it’s finals week too and I have more conferences with students before I go pick my son up at school so we can ride home together! Celebrate Star Wars Day with the San Buenaventura ArtRiders Bicycle and Social Club! 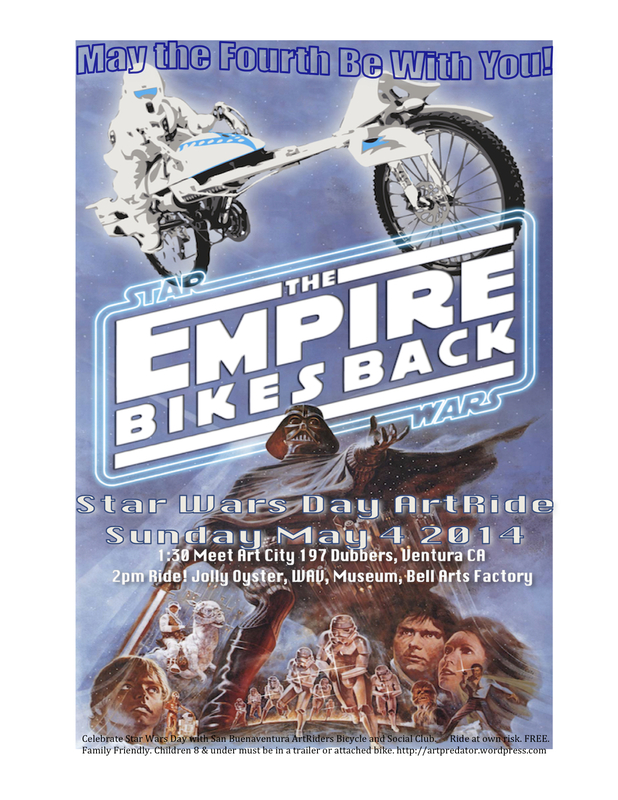 Check the batteries on your light saber, get your robes in order, and prepare your ride to join the San Buenaventura ArtRiders Bicycle and Social Club for “The Empire Bikes Back” on Star Wars Day Sunday May the Fourth! 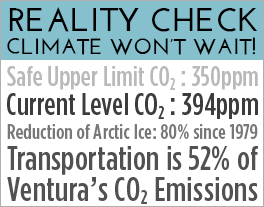 Bike to the Future in Santa Barbara tonight, Holiday Cheer Ride in Ventura tomorrow…and maybe a SantaCon? There has to be some pay off for all that bicycle and active transportation activism, right? How about a bike ride to the future? Or a SantaCon? 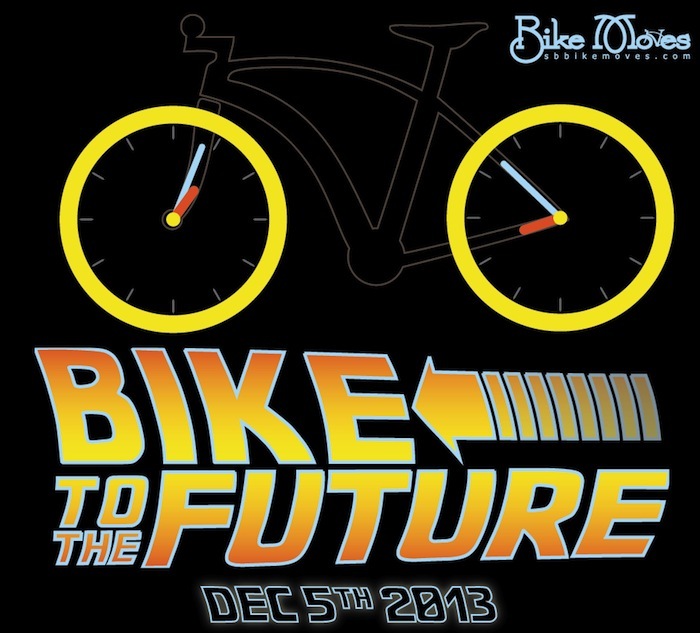 BikeMoves takes you back to the future, today December 5, 2013!